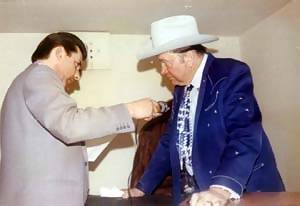 Don was a major supporter of country music. 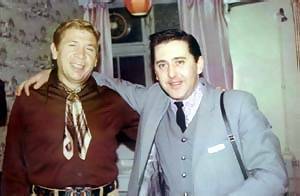 His Country & Western Jamboree was heard on Radio Caroline North and, for a short time, Caroline South too. 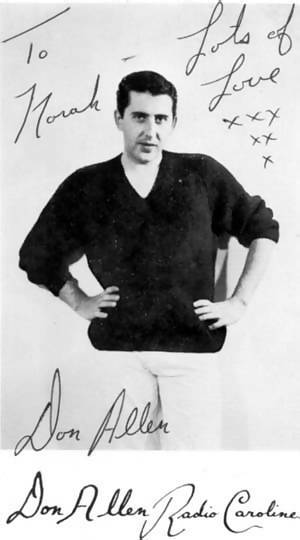 Later it was on Radio Northsea International. 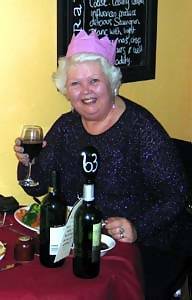 This page includes some photos taken at one of the annual Wembley Country Music Festivals by Norah and her husband. These photos must not be reproduced without Norah's permission. 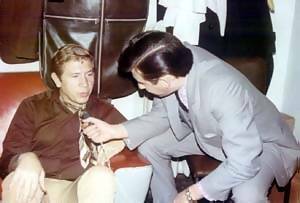 Don interviewing country music legend Buck Owens. Norah says that Buck was Don's favourite country singer. 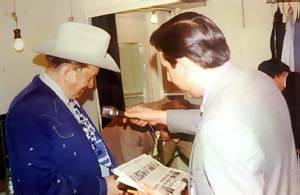 Don interviewing another country great: Tex Ritter. Norah campaigning for Caroline, back then. With grateful thanks to Norah.